Nowadays all regulatory authorities focus on data integrity and have their own data integrity guidelines - however, their regulations don’t always agree. With this pdf download you will understand all the requirements! This report details the ins and outs of all three documents of EMA, MHRA and WHO and explains how the FDA regulations fit in. 410,55 € * inkl. gesetzlicher MwSt. Nowadays all regulatory authorities focus on data integrity. The European Medicines Agency (EMA) — the UK’s Medicines and Healthcare Products Regulatory Agency (MHRA) — and the World Health Organization (WHO) — all have data integrity guidelines. And, their regulations don’t always agree. 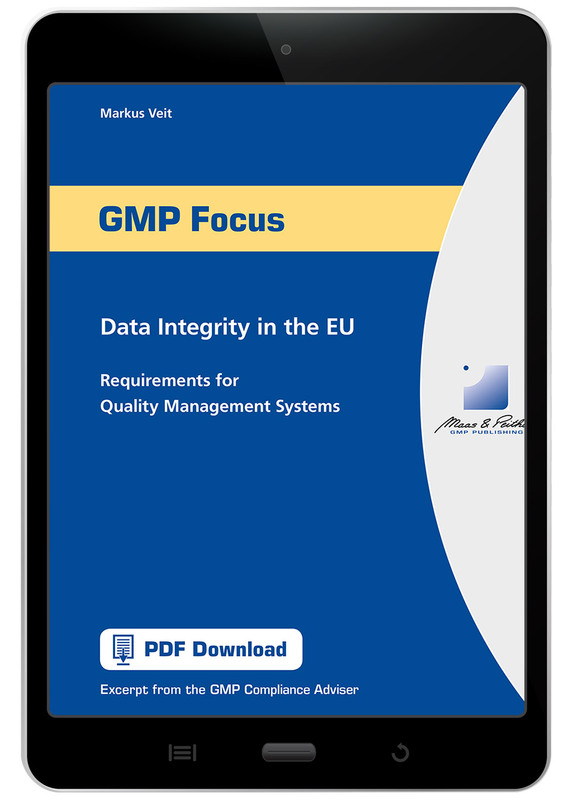 You’ll understand all the requirements with Data Integrity in the EU: Requirements for Quality Management Systems. This report details the ins and outs of all three documents and explains how the FDA regulations fit in. WHO’s Annex 5: Guidance on Good Data and Record Management Practices. Order your copy of Data Integrity in the EU and avoid data problems and breaches that can damage your drug’s success.